Voila Le Future: Boom Boom! 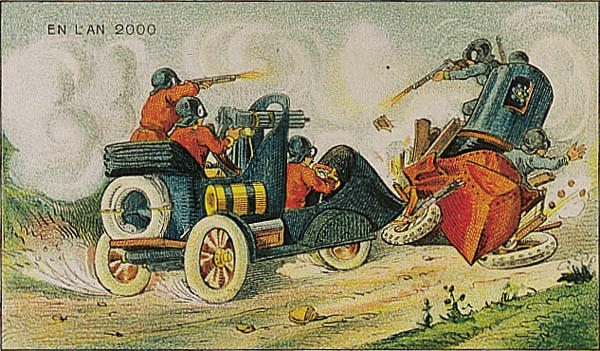 This is apparently what the French of 1910 though the world of the year 2000 would be like: Machine Gun Jousting! What the function of the book grinder? 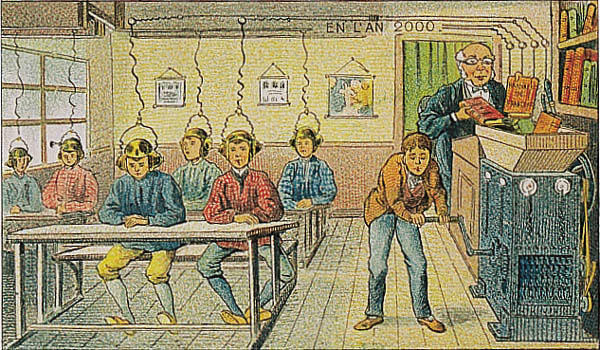 Is it merely disposing of the obsolete education tools since they’ve been supplanted by the audio input of the headphones, or is it converting the knowledge into data to be installed into the students’ heads, a la The Matrix? If only the French were around today to answer these questions.